We find mentions of tiger all over arts and literature. Ruskin Bond's stories from the jungles are incomplete without a prowling tiger. Rudyard Kipling's Jungle Book features a tiger Sher Khan as the ultimate villain with malice in its heart. Short Stories such as Mrs Packeltide's Tiger trivialize the killing of the magnificent beast to induce a little laughter. Tiger in a Tropical Storm, a painting by Henri Rousseau, got the artist his first brush with fame. 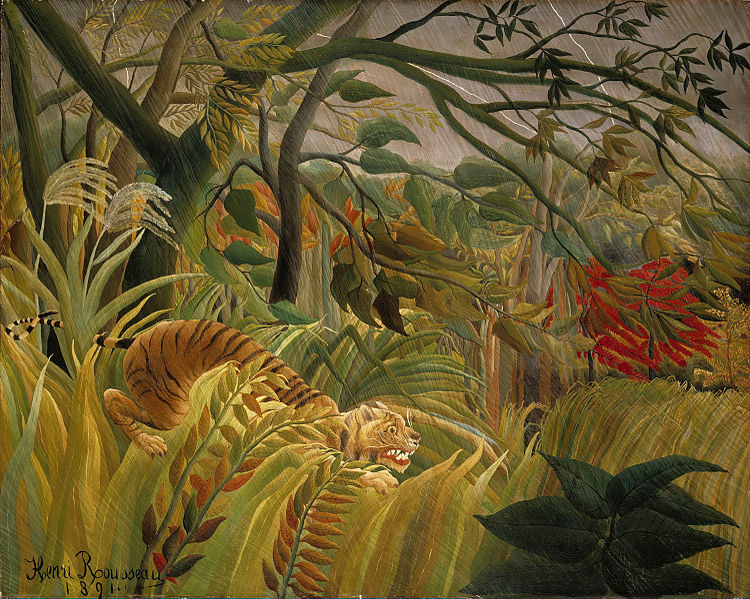 He went on to produce several other paintings with tiger at their center. Tiger is part of our folklore. Goddess Durga is often shown to be riding a tiger, a symbol of courage and strength. In short, tigers are all around us, and so they have been for ages, evoking fear and awe. Graceful and perpetually nonchalant, these beautiful beasts are worshiped by many. However, we humans have a strange way of worshiping things. While we light incense sticks in front of a tiger idol, we do not care if the actual beast dies off. It gives me the shivers when I think of how close we had come to losing all our tigers. 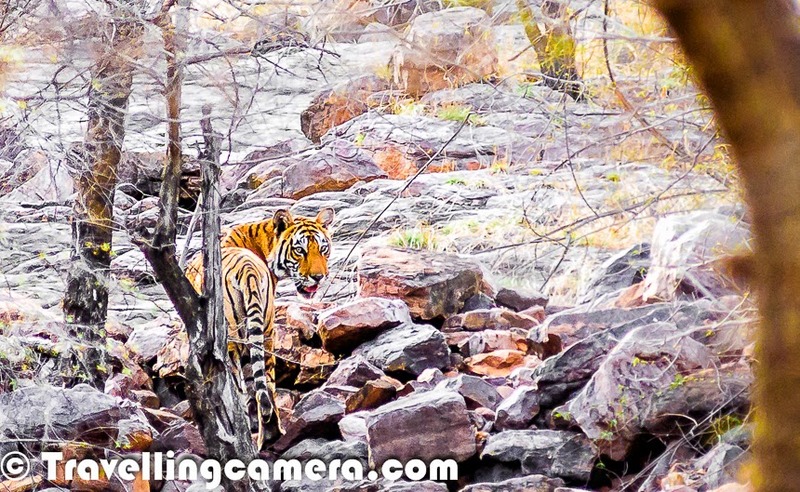 I cannot imagine our jungles without their king, the beast with orange and black stripes and fire in its eyes. Dreadful and yet beautiful. Many of us turn our face in disgust whenever National Geographic, Animal Planet, or Discovery play the footage of a tiger tearing apart its prey. We squirm with fear when we see the video of a mahout riding an elephant being attacked by a tigress that jumped out at him from the bushes. What we fail to see is that the tiger is just following its instincts. Just like any other living being, a tiger has to eat. And in the second example, the tigress who attacked the mahout was angry because she had lost her newborn cubs. You happened to be in her territory when she was in a foul mood. Too bad! It is time for the entire story to be revealed and for tigers to be redeemed. They are not the terrible beasts that Kipling portrayed them as. Nor are they trophies, as Saki pictured them. They are our fellow earthlings, who have as much right as us to live here. And it is not only for the sake of art or literature that we should save tigers, it is also for the sake of our planet and ourselves that we should be worrying about them. You probably learned the concept of a food chain in your primary classes, and would perhaps know that when a tiger hunts and eats a deer, it is not because a tiger is a mean, cruel villain who takes pleasure in inflicting pain upon hapless, weaker animals. It is because it too has to survive. And if it doesn't eat and perishes, you will be left with more deer than you can handle. These deer will then chomp away happily on the foliage, stripping forests of their green cover. And once that happens, we will all be roaming around with an oxygen mask strapped to our faces. Would you like this to happen? Moreover, imagine the earth full of just one type of creatures, us human beings. Will it be any good? Will it be as much fun? Will it be as beautiful? Definitely not. And that is why we need a new narrative. Apart from what the government is doing, there is a lot that we, the common people, can do too. A tiger is a magnificent creature, and its beauty doesn't only lie in its skin, its eyes, its claws, or its teeth. Its beauty lies in the way it prowls in the jungle, the way it ambushes its prey, the way it brings up its cubs. It is not a mean, stone-hearted animal. It is much more than just a beast that lives in the jungle. Some people like Raghav Chandra, author of Scent of a Game, have made an attempt to explore the issue of the tiger objectively. But sadly even in their story, we do not really get to understand tigers any better. Perhaps we need a Lion King like narrative for tigers. So go ahead. Paint a new picture. Write a new story. Sing a new song. Give the tiger its due. Many parents make up stories to narrate to their kids. Many of those stories are Panchatantra-like where the tiger is often the bad guy. We need to change this perception of Good and Bad. Educate your kids about tigers as a species. One example of a message that you can give your kids through your stories could be "A tiger will kill you and eat you if it gets a chance, but it isn't really the tiger's fault because it is just being a tiger. You, like any other sensible animal, should try to stay out of its way." And besides teaching this to your children, it is also important that you understand this yourself. When the white tiger in Delhi zoo killed a man who had fallen into its enclosure and when Ranthambore's T-24 killed a forest guard, so many grown-up and so-called "sensible" people screamed all over the social media that game hunting of tigers should be allowed, that all tigers should be shot down. Can you think of a more irrational response? In no case should you promote such beliefs or discussions. In both the cases how is the tiger at fault? It is just following its natural instincts whereas we humans commit heinous crimes to satisfy our egos, lust, and greed. If the tiger deserves to be wiped out, we humans deserve much worse. Apart from the government, corporates like Aircel are doing a good job. Through its #AircelSaveOurTigers CSR initiative, Aircel provides vehicles and devices to the rescue teams that operate in case of human-animal conflict. They have also being reaching out to the masses through bloggers and school children. If possible, support them in their initiative. Write about them and their cause. Spread the word. Only then can the situation actually change. 4) Know and talk about the species that have already been lost to the world forever. And talk about the cause. Dodos, Bali tiger, Asiatic Cheetah, Eastern Cougar have all become extinct. And we are losing species at an alarming rate now. The problem with extinction is that it is permanent. Once gone, these species cannot come back. Centuries that went into their evolution have gone waste. Isn't it sad? Read about these species and how and why they went extinct and you will be surprised to note that there is one common cause behind all these extinction - human activity. Without doubt we are more aware than our previous generations about the harsh reality of extinction. Then, do we really want to inflict the same fate on tigers? Will we be able to take the same pride in ourselves if we wipe out the animal that we love so much? Initiate this debate in your circles and keep it going. You never know, this might be the butterfly effect that will ultimately change the mindset of humans. Let us put all our resources together and make this happen. Let us revive the tiger population. Let us learn to live with tigers and other animals. And let us do it now. Because, seriously, there's no other way, and no better time than now. Vibha Malhotra is a writer, blogger, poet, editor, and translator, and the founder of Literature Studio. 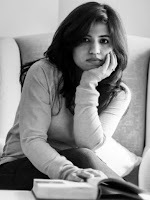 At present, apart from running Literature Studio and teaching creative writing to all age groups, Vibha works as a Consulting Editor with Dorling Kindersley (Penguin Random House), plus several online literary portals. Before embracing writing as a career, Vibha worked as a software engineer for almost 10 years. She holds a Master of Arts in Creative Writing from Newcastle University, UK, and a Bachelor of Arts in English Literature from Delhi University. She is a nature lover and is passionate about wildlife and landscapes.